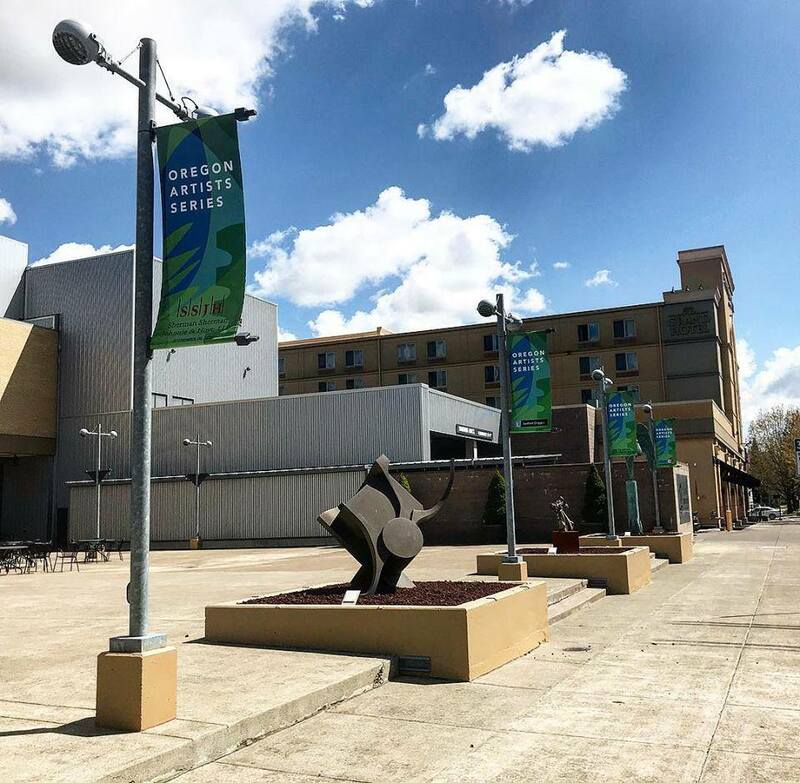 The Oregon Artists Series Foundation collaborates with the City of Salem and the Salem Convention Center to site a wide range of artworks throughout downtown – artworks that pique the public’s interest and encourage people to explore. Public art benefits the whole community. Over time, the City’s public collection will form a visible link connecting Willamette University, the State Capital mall and park, the Convention Center and Riverfront and Minto Parks. We're a committed group of business and community leaders, artists and others who believe that public art enriches our community and creates an environment that is good for residents, visitors and business. We continuously seek to engage and partner with others who can help advance our work. We work in concert with the City of Salem Public Art Commission and the Riverfront/Downtown Urban Renewal District to make art an integral part of downtown Salem. Our close partnership with the Salem Convention Center has placed multiple works of art by Northwest artists inside that building. We've sought and secured sponsorships to create the outdoor Sculpture Garden at the Center. We use our nonprofit status to seek grants and major gifts to acquire public art. We've also successfully brokered the gift of major works of art that we've then gifted to the City of Salem. Our annual fundraising event, now Flip for Art, generates both public excitement and funds for more artwork. We've developed strategic partnerships with the Hallie Ford Museum of Art at Willamette for the loan of major paintings for the Salem Convention Center. With the addition of public art by Northwest artists, Salem has an enhanced downtown which is a stronger and more vibrant environment for business, residents and visitors of all ages and backgrounds.